Even before their comeback, IZ*ONE is drawing explosive interest as global trend groups. 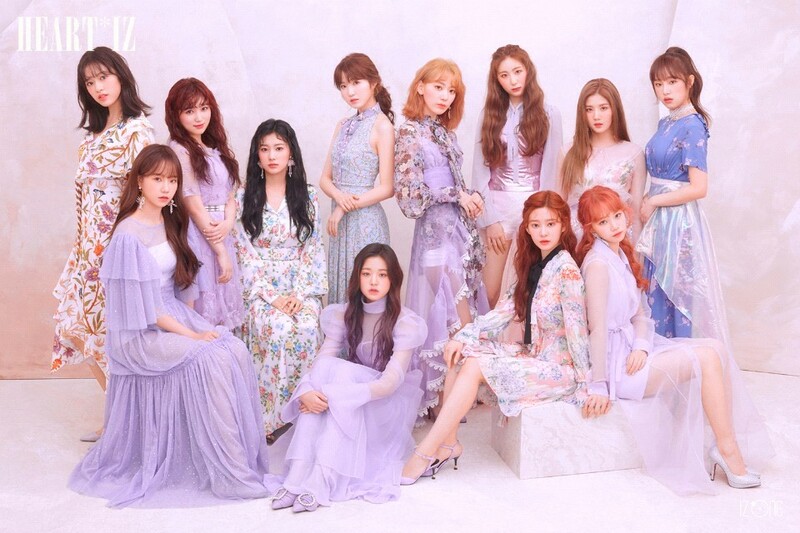 Even before their comeback, IZ*ONE still has a huge power to record sales of more than 200,000 pre-orders, and has joined the mainstream group that no one can deny. In addition, "HEART*IZ" topped the online reservation sales chart for Tower Records in Japan, showing off their popularity as global super rookie. Even when they released their debut album, "COLOR*IZ," I was surprised to find that their sold a whopping number of albums that were not believed to be new. At that time, IZ*ONE sold 80,822 in total, breaking the record for the first album of all-time girl groups. Based on this, IZ*ONE got 2018 AAA, 2018 MAMA, 33rd Golden Disk Awards, and 28th Seoul Music, also swept the top prizes for "Rookie Award" and "The 8th Gaon Chart Music Awards." Attention is focusing on whether IZ*ONE, who has established themselves as a global trend group, will be able to hit homeruns in consecutive at-bats with their new album "HEART*IZ" followed by their debut album "COLOR*IZ." IZ*ONE’s new mini album "HEART*IZ" is released at 6 p.m. on April 1.